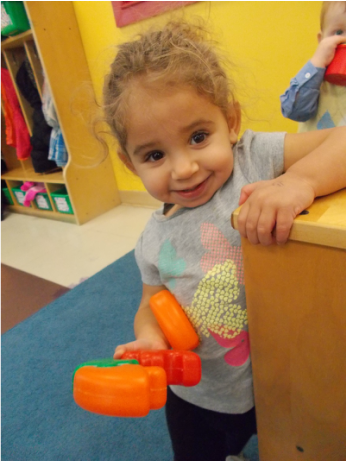 Our toddler program provides an environment that meets the developmental needs of your child during these crucial and formative years. 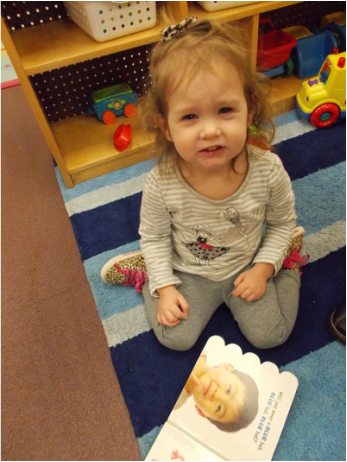 Using “Developmentally Appropriate Practices” and the development milestones for children 12-24 months, Spectrum Station created its “Passport to Learning” curriculum. Toddler teaching goals are outlined and concepts repeated throughout the year. Toddler learning activities are presented to allow learning experiences within a predictable routine environment. Children thrive in a well-ordered, predictable environment where daily routines such as arrivals, departures, meal times, nap times, and toileting are dealt with consistently by all caregivers. These routines also offer children a sense of stability and feelings of warmth and caring from their teachers. They also provide opportunities for students to learn about themselves, the world, and other people. A detailed “Daily Information” sheet is completed throughout the day and includes information on feedings, diapering, napping, and activities.